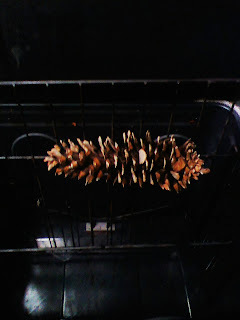 First have the children collect several pine cones. Next you will need to pre-heat your oven to 200 F for 45 minutes. 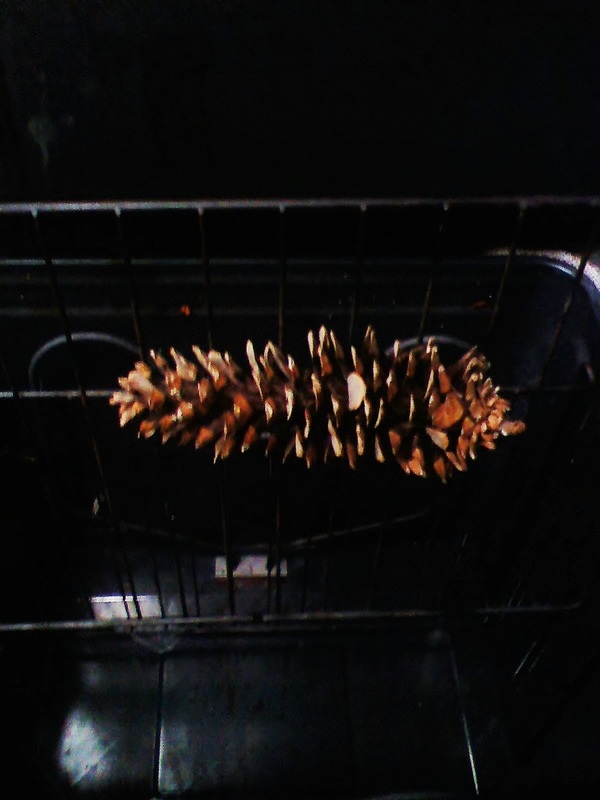 This will dry out your pine cone helping the oils sink in as well as get rid of any bugs that may have hidden inside your pine cone. Finally add several drops of essential oil or scented oil. You can use any scent you would like, although we suggest seasonal or woody scents including Pine, Cinnamon, Fir, Spruce, Peppermint, or Eucalyptus. It will take a few moments for the oils to sink in. 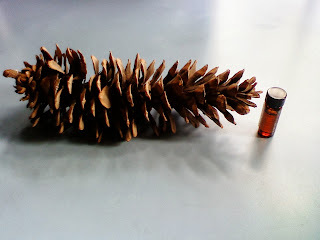 This is an excellent sensory object for children because of the texture of the pine cone as well as the scents. You could use the pine cones in a game, by having the children guess the scent of the pine cone.